The Seiver Endowment are four academic scholarship endowments set up by David Sean & Helena Marie Seiver at both their alma maters: University of Houston, and Michigan Technological University, and the University of Montana in Missoula, Montana. David & Helena have recently started to support the University of Houston’s Philosophy Department with a $1000 VBW scholarship in late 2018 (see more here), and have just completed the creation of a a permanent scholarship endowment, and another $2000 donation for scholarships in 2019. The Philosophy Department hopes to use the scholarship donation to attract more women into their graduate program. 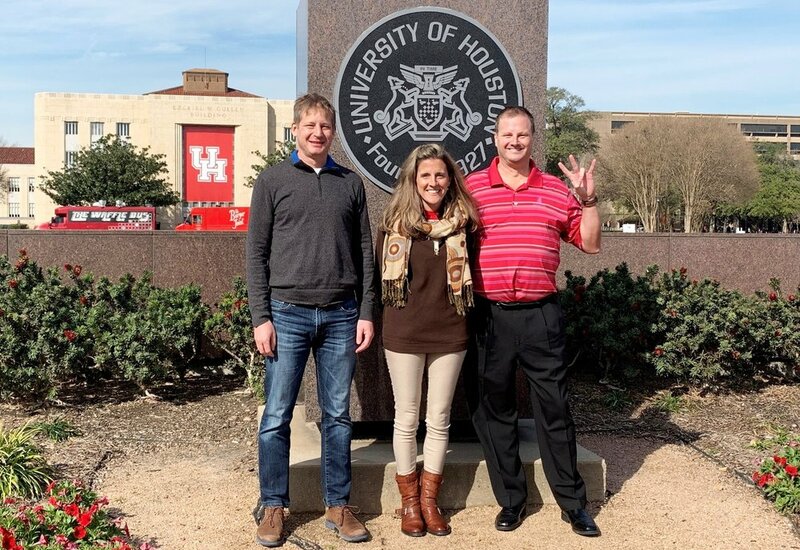 A picture of philosopher Tamler Summers (and VBW podcaster), Helena Seiver, and David Seiver was captured in 2018 on the University of Houston campus while discussing the mission of the new endowment. Both David and Helena are professional engineers and thus two of the scholarship endowments are set up for aspiring engineering students. The University of Houston scholarship endowment was set up in honor of David's mother, Margie Nell Eaves Seiver in 2008. The Michigan Technological University scholarship endowment was set up in both David and Helena Seiver's name in 2012. The third scholarship endowment, set up in 2016, at the University of Montana (in Dave's father's name, John Richard Seiver, who passed away April 10, 2018) is in forest stewardship, something both Dave & Helena have a deep appreciation for. This website was created as a mechanism for updating the financial status of the scholarship endowments to the public, proudly displaying scholarship winners, and providing contact information for new prospective donors, both individual and corporate. As of February 2019, the combined Seiver Endowments exceed $140,000, and have awarded a combined total of 12 academic scholarships to deserving students!